To Re-Home your pet: We do take in owner surrenders if we have available space for them. Lazy Dog Rescue is a breed specific rescue and we only take in Dachshund, Corgi, Basset Hounds or mixes of those breeds. We take in the low riders, that's the long and short of it!! 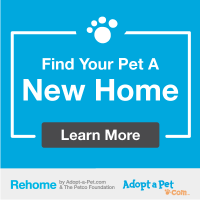 If we can not help you out, we suggest you use Re-Home by Adopt-A-Pet. Click on the blue ad to the right to go to their site.